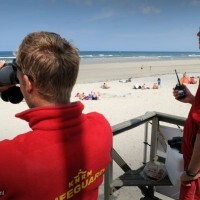 How to become a beach lifeguard? Contrary to what a certain nineties American cult TV series may have informed you, being a beach lifeguard isn’t all about standing around gossiping, pouting your lips and running in slow motion (well at least not in the UK that is). The importance of beach lifeguards in ensuring the safety of beach goers cannot be overestimated…they are the only thing which stands between life and death. Obviously then it is a role which carries an enormous responsibility and requires a particular aptitude, skill set and personal attributes from those who choose to follow it. Hopefully this quick guide will help you through some of the details you need to consider if you fancy the life of a lifeguard. What does a lifeguard do? 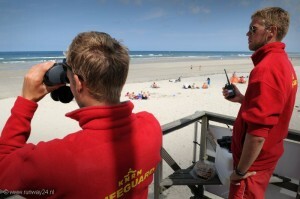 At times a beach life-guard may be required to operate a two-way radio system to maintain contact and coordinate activities between emergency rescue units. 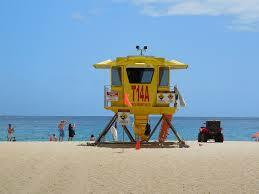 What are the benefits of being a beach lifeguard? Whilst working as a lifeguard is never going to see you featured in the Fortune500, the salary on offer is certainly not to be sniffed at. The average earnings for a lifeguard in the UK is £16,500 but depending upon where you work and how long you have been in the role, this can rise to around £20,000. The vast majority of lifeguards do not remain in the role for the duration of their career. This is particularly true in the UK owing to the fact that for 6 months of the year the weather is, shall we say “not ideal” for traditional beach pursuits. This also means that for many, the role of lifeguard is something of a seasonal occupation, which makes it a great option for students and young people on the hunt for some summer/ gap year work… although it is certainly open to a range of demographics. Working as a beach lifeguard can be a great way of beginning a career in the sports, leisure and tourism industries in roles such as gym instructor, swimming coach, leisure centre manager and many more. What skills and attributes do you need ? As you would expect there are certain qualifications and training which will need to be undertaken to become a fully qualified beach lifeguard. These can be undertaken either by joining a local RLSS Lifeguard club or SLSA GB Life Saving club as a volunteer and train with them or by registering with a commercial training organisation. 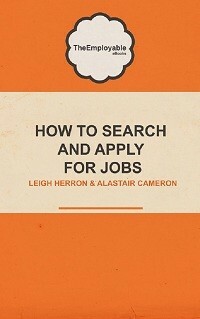 Once you are qualified, you can apply for work with local authorities or with the RNLI. Best of luck if you still wish to become a lifeguard. 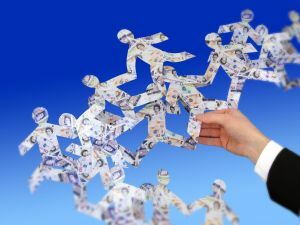 But if the notion doesn’t quite float your boat then have a look at some of the other jobs in our career directory to find one that suits.